PhD 2014: in Economics, Faculty of Economic Sciences, University of Göttingen, Germany. Master 2003: in Economics and Development Studies, Faculty of Economics, Gadjah Mada University, Indonesia. 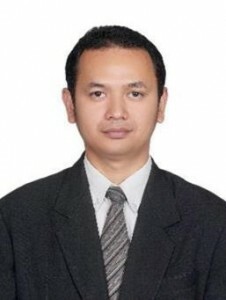 2006 – current : Senior Researcher at International Center for Applied Finance and Economics (InterCAFE), Bogor Agricultural University – Indonesia. 2004 – current : Lecturer at Department of Economics, Faculty of Economics and Management, Bogor Agricultural University – Indonesia. Economic Sciences, University of Göttingen – Germany. Grant of Indonesi Deposit Insurance Corporation – InterCafe LPPM IPB, 2016 (Team Leader). (Member of Investigators, Data Analyst for Livelihood, Social Gender Integrated Plan). 3. Pattern of Agricultural Development in Indonesia 2003-2013: Analysis of Agricultural Cencus Data. Research grant from Ministy of Research, Technology and Directoarte of Higher Education, 2015-2016. (Member of Investigators, Data Management, Micro-econometric Analyst). Bank Indonesia, 2007-2008 (Member of Investigators, Data Management, and Econometrician). Consultancy and Ministry of Industry. (Member of Investigators and Macro-econometric analyst). of Investigators and Data Management). and Indonesian Forum. (Member of Investigators and Data Management). IPB and BULOG. (Member of Investigators and Data Management). Production in Indonesia,” International Journal of Economics and Financial Issues, Vol. 6(4), p. 1570 -1577.
from Panel SUSENAS 2008-2010. International Journal of Economics and Financial Issues, Vol. 6(3), p.
Poverty Measurement: Which way now? Journal of Economi c Inequality, Vol.14 (2), p. 199-225. Indonesia (In Bahasa). Jurnal Keuangan dan Perbankan Perbanas, Vol. 12, No.1. Based on Granger’s Causality (In Bahasa). Telaah Bisnis, Vol. 9. Indonesia (In Bahasa). Jurnal Ekonomi dan Kebijakan Pembangunan, Vol. 1, No.1. English), Jurnal Bisnis dan Manajemen, Vol. 2, No. 2. 4 (In Bahasa), Journal of Indonesian Economy & Business, Vol. 18, No.1: 9 -20. Jurnal Ekonomi dan Pembangunan, Vol. 7: 157-170. Model (In English), Journal of Indonesian Economy & Business, Vol. 17, No.4: 4 20-427, 2002. Vol. 16, No. 1: 18-29. Economy (In Bahasa), Jurnal Ekonomi dan Pembangunan, Vol. 6, No. 1: 12 -22.
verbal presentation on International Conference of AARES 2016 in Canberra – Australia. International Conference, November 24, 2015 in Bogor – Indonesia. 2015 in Bogor – Indonesia. Centre: Poverty, Equity and Growth – Discussion Papers No. 91. Hotel & Resort, Bank Indonesia – IMF, Nusa Dua – Bali, as participant. West Nusa Tenggara, as participant. 4. Workshop on Monitoring and Evaluation of Poverty Alleviation Programs as participant in 2015. Economics-IPB, BAPPENAS, and Partnership Governance Reform, as trainer in 2008. 6. Training for Econometrics, InterCAFE and Bank Indonesia as a trainer in 2008. 7. Workshop on Equilibrium Displacement Modeling (EDM) as a participant in 2008. University as a trainer in 2006. Agricultural University, as a trainee in 2006. 10. Training for Panel Data Modeling and Application, InterCAFE and Bank Indonesia as a trainer in 2006. 2. Seminar of Sydney Southeast Asia Center, October 22, 2015, The University of Sydney, Sydney -Australia. 1. Local Languages: Batak, Indonesia, Java.